We are now selling the fantastic Large Yellow Outdoor Clay Grapes Chimenea at a reduced price. 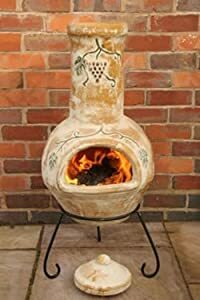 Don't miss out - buy the Large Yellow Outdoor Clay Grapes Chimenea online now! 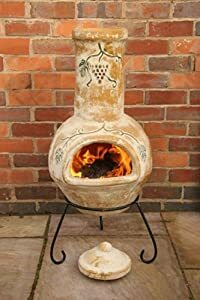 This beautiful Clay Chimenea, with it's grapes feature is hand made using only traditional, century old methods by Mexican craftsmen. Includes a wrought iron stand which is powder coated, lifting the Chimenea of the ground for extra protection. A matching clay lid is included (see above image). Make the most out of being in the great outdoors with the Grapes Chimenea.